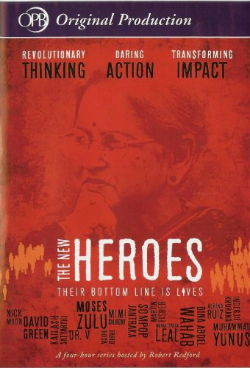 One of the documentaries in Episode 3, on Enterprise, focuses on Muhammad Yunus, for example. The now-Nobel-Laureate Yunus founded the Grameen Bank and was one of the pioneers in using microfinance to lift millions of the most impoverished people out of poverty. This and several of the other episodes are now available online. Look at a Muhammad Yunus online project I use in my Leadership for Social Change class. It contains a link to The New Heroes Yunus documentary now on YouTube, as well as links to videos on the work of Jessica Jackley, whom Yunus inspired to create Kiva.org. The documentaries are hosted by Robert Redford, and had wide circulation on his Sundance Channel as well as PBS. 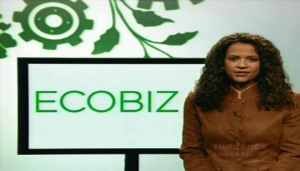 The Sundance Channel also aired the series titled Eco Biz, hosted by Allison Stewart. Many of these micro-documentaries (each 2-3 minutes long) are also available on YouTube. 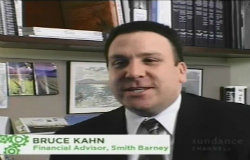 The VIDEO below, from the Eco Biz series, features Bruce Kahn, an investor at Smith Barney. A former Peace Corp volunteer, Kahn now works to steer clients towards Green Alternatives whenever possible. Eco Biz is sponsored by Smith Barney, so this episode—probably the whole series—is an example of CSR, Corporate Social Responsibility, which comes in for heavy criticism regularly. Are businesses in it just for PR, or are they really committed? Do one’s motives have to be that pure? Bruce Kahn isn’t Muhammad Yunus, but the reverse is true as well, and Yunus hasn’t exactly become poor by starting Grameen Bank. This entry was posted in Social Change and tagged Eco Biz, Flora Family Foundation, Leadership for Social Change, Skoll Foundation, social entrepreneurship, Sundance Channel, The New Heroes. Bookmark the permalink.